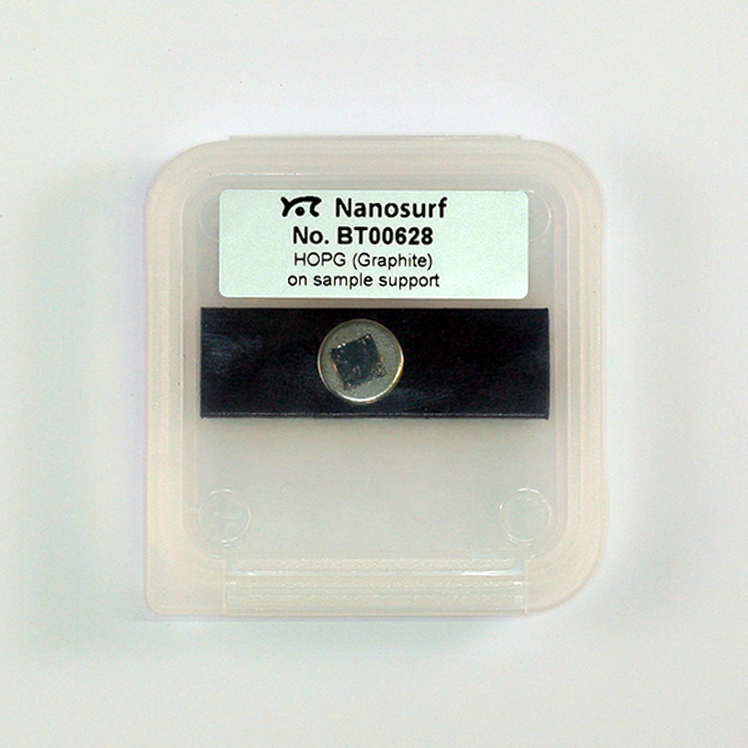 This sample can be used for both STM and AFM measurements. As with mica, HOPG can be cleaved to obtain a clean surface. In STM measurements, the atomic lattice can be observed. In high resolution AFM measurements, the atomic steps on the graphite surface can be seen. Conductivity variations can be observed in spreading resistance mode. Due to the mosaic spread, the cleaved surface will have several steps within a square micrometer. It cannot only be used as a direct sample to be measured by AFM, but also as substrate to absorb samples on, though for this application a higher quality grade may be beneficial.